Great shot. Doesn't look so little from here though. great record of the little blighter. i assume it is a tic? I HATE those blankety blank little SOBs!!!!!!!!!!!!!! Good macro, but it doesn't make me like or appreciate them in the least. agree with you 100% there, Mike. One of my favorite places to go seems always infested with them. I've been lucky, but then again, I also spray myself down before I go, and get a shower/check myself immediately after I return. I'll probably have neurological problems or something later on in life from all the bug spray I've absorbed. Oh well. "At least one living creature was injured or killed in the production of this photograph!" Have you ever tried those Bounce Sheets in your pockets Dan. I understand they can't find you when you have them in your pocket. I understand they mask your smell. Yep, it's deer tick. It was about 1/4" long - I really wish I had thought to put as penny next to it to give an indication of scale. When I found it, I flicked it into the sink and ran for the camera, shampoo still in my hair! Hopefully, this will serve as a reminder to everyone to check himself/herself over after working in the yard. 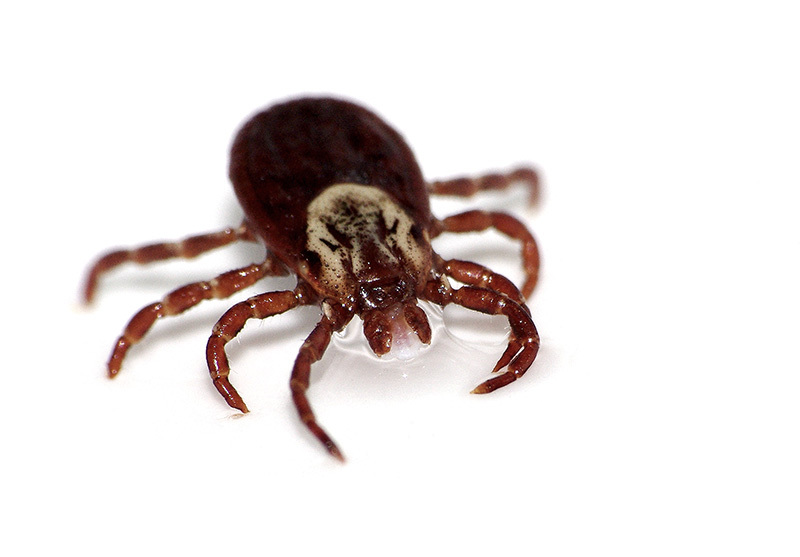 I've caught at least a half dozen of these ticks over the past couple of years, and they still skeeve me out. Equipment used: K2000, DA L 50-200 lens, Raynox DCR-150 macro adapter, on-board flash. 13. Clean baked-on foods from a cooking pan. Put a sheet in a pan, fill with water, let sit overnight, and sponge clean. The anti-static agent apparently weakens the bond between the food and the pan. 16. Eliminate static electricity from Venetian blinds. Wipethe blinds with a sheet of Bounce to prevent dust from resettling. I will now be purchasing a large package of bounce. Uugh! ticks. We had such a mild winter, they never went away. We regularly pull six or seven of them off our dogs after a walk.